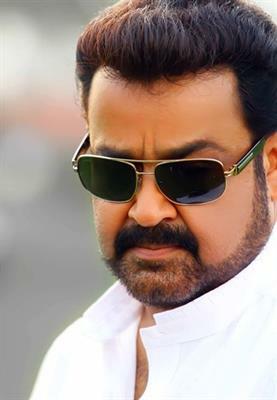 Pulimurugan malayalam movie to be directed by Vyshakh featuring Mohanlal in lead will kick start in December 2014. Scripted by Udaya Krishna - Sibi K Thomas, the movie will be a complete entertainer packed with elements of humour, thrills and suspense. Pulimurugan is being produced by Tomichan Mulakupaadam, under the banner of Mulakupaadam Films. Moviegoers will have much to celebrate when a dream team unites for a single project. After the majestic success of his previous ventures, filmmaker Vyshakh is gearing up to helm yet another project to be made under a big budget. The movie titled 'Pulimurugan' which has Mohanlal in lead will kick-start soon after the release of Vyshakh's 'Cousins' which is expected to reach theatres during Christmas. 'Pulimurugan' would be a visual delight planned to get released during summer 2015. Scripted by Udaya Krishna - Sibi K Thomas, the movie will be a complete entertainer packed with elements of humour, thrills and suspense. Pulimurugan is being produced by Tomichan Mulakupaadam, under the banner of Mulakupaadam Films. The most wanted scriptwriters Udaya and Siby has earlier penned for Mohanlal's movies like 'Twenty- Twenty' and 'Christian Brother'. The movie touted as a mass entertainer is said to be along the lines of 'Naran', 'Aaram Thampuran' and 'Narsimham'.Mohanlal who took a break for acting is currently on a vacation to Antarctica along with his family. After his 20 days lesuire trip, the actor will be back during the first week of December. Before setting off for the trip, Mohanlal wrapped up the shooting of his movie with Manju Warrier, which is directed by Sathyan Anthikkad. This highly expected movie will hit theatres in the first week of January 2015. 'Lailaa O Lailaa' directed by Joshiy is due planned to release as a Christmas treat. As the script did not get finalized, Mohanlal has rescheduled his dates given for Madhupal which initiated the actor to go ahead with Vyshakh's project 'Pulimurugan'. Vyshak, who has made his presence felt from his directorial debut 'Pokkiri Raja' took the audience in hands through this later fairly successful movies like 'Seniors', 'Mallu Singh', 'Sound Thoma' and 'Visudhan'. 'Cousins' made with a budget of 10 Crores starring Kunchacko Boban, Indrajith, Suraj Venjarammodu and Joju in lead will be pure entertainer. Upcoming malayalam movies in 2014 full list are updated here. The list of malayalam movies to get released in 2014 include movies of Mohanlal, Mammotty, Prithviraj, Dileep, Dulquer Salman, Fahad Fazil, Sunny Wayne, Jayasurya, Kavya Madhavan and others too. Read more to know about the upcoming malayalam movies in 2014. Nakshathrangalude Rajakumaran malayalam movie to be directed by Jude Antony will be the adaptation of Mammootty's autobiography 'Chamayangalillathe'. Nivin Pauly, Vineeth Srinivasan, Indrajith, Kunchacko Boban and Dulquer Salmaan would be in the star cast. The movie is expected to start by the beginning of 2015. Amar Akbar Antony malayalam movie to be directed by Nadir Shah will have Prithviraj, Indrajith and Jayasurya in lead. Touted to be a complete entertainer, the movie revolves around the life of three protagonists Amar, Akbar and Antony. After the finalization of the script and cast, the movie will start rolling by the end of March 2015. Isam malayalam movie to be directed by Vinod Sukumar featuring Fahadh Faail will start rolling after the finalization of the cast and the pre production works. Vinod who won the national award for the movie 'Diary of a Housewife' will also lend his support as the script writer and editor for the movie. Satish Kurup handles the cinematography. Young charming Radhika Apte will make her debut in malayalam with 'Isam'. Rascal malayalam movie to be directed by Sidhique will have Mammootty in lead. Creamed with humour at its best, the movie will on floor in December 2014. As per plan, 'Rascal' would reach theatres during next Vishu. Mammootty himself will produce the movie under his own production unit Play House release.